points away from your first reward! 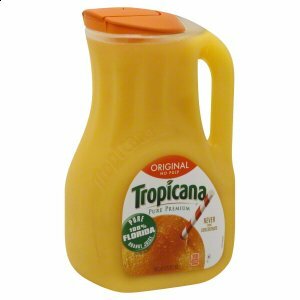 Rate & Review Tropicana Pure Premium Original Orange Juice No Pulp to get points! Please login or create a free account to edit Tropicana Pure Premium Original Orange Juice No Pulp. No followers for Tropicana Pure Premium Original Orange Juice No Pulp. Follow Tropicana Pure Premium Original Orange Juice No Pulp now!